Dashboard: The section we're in, with our landbots, the templates, and the possibility to create new ones. 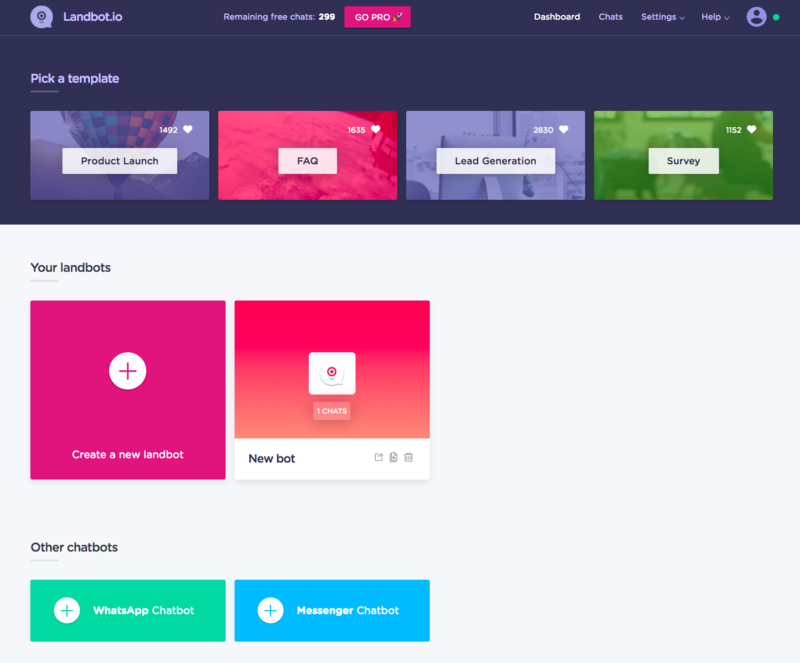 Chats: the section where we can see the conversations of every landbot, and jump into the chat as a human agent when needed. Learn more. Settings: Where we can modify our company and subscription information. Learn more. Help: direct access to our Knowledge Base and the Support Team. Learn more. Avatar/User: use it to change your connection status, modify your account details or log out. Pick a template: Landbot provides some templates so you don't have to start from scratch every time. Click on any of them and a copy will automatically appear in the "My landbots" section! 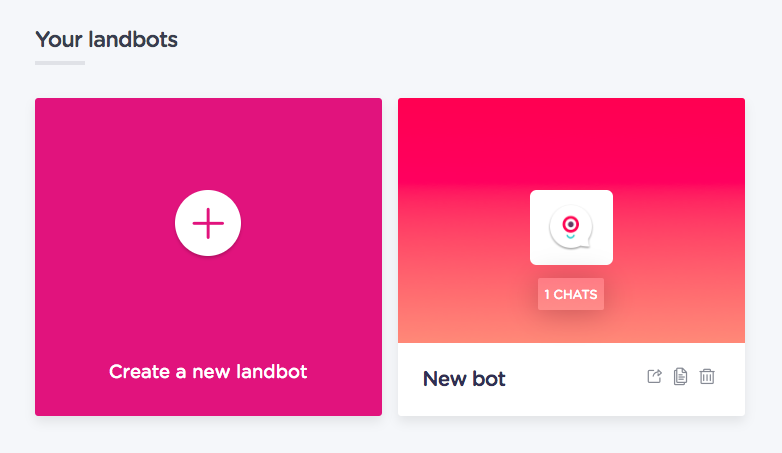 Your landbots: All the landbot's you've ever created with information on its name and number of chats. Click on any of them to edit it. You can duplicate or delete any of them by clicking on the document and bin icons. 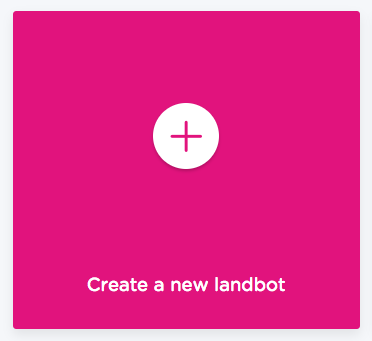 Click on the + sign to create a new landbot at any time! Create a new WhatsApp Chatbot - You can click on the first green icon to integrate any WhatsApp number and create a chatbot at the same time (only Business clients); Learn more.